Increase your survival odds by creating and following an exercise program that counteracts the side effects of your treatment, speeds your recovery, and reduces your risk of recurrence. Most cancer patients and survivors think that "rest" will decrease their fatigue and speed their recovery. But in fact, rest can make patients weak and debilitated during treatment and may prolong hospitalization. 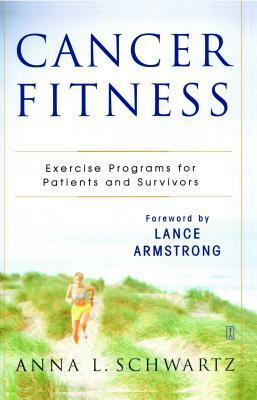 Based on Dr. Anna Schwartz's research and her life's work as a nurse and a coach, Cancer Fitness offers cancer patients and survivors comprehensive advice and an easy step-by-step program to begin improving their physical and emotional health and reclaiming their lives beyond cancer. Through exercise, patients will regain some control over their body, manage side effects more successfully, and increase their body's ability to heal. Cancer Fitness provides clear directions to safely start an exercise program, and the tools to make exercise a long-lasting lifestyle change to heal body and soul. Lance Armstrong is a seven-time winner of the Tour de France and fulltime cancer fighter. He oversees the Lance Armstrong Foundation, a nonprofit organization that assists cancer patients around the world with managing and surviving the disease. He won the first of his record-setting seven Tour de France wins after surviving a nearly fatal bout with testicular cancer. In 2008, he was named one of Time magazine’s 100 Most Influential People. He lives in Austin, Texas.